1. Comfort above all else. When choosing for a pair of wedding shoes, comfort must be the first thing that you should consider. Since you will be walking on that pair for hours, choose a pair that is not too high so that you won’t strain your feet. If you prefer high heels though, look for a wedge shoes since they tend to give more comfort than stilettos. The location of your wedding could also be a factor in choosing your perfect wedding shoes. For beach weddings, there is no way you could walk down the aisle with your 4 inch heels. And for garden weddings, it would likewise be impossible to walk in stilettos at ease. Always choose a pair that is appropriate for the venue. It is amazing how wedding shoes have evolved through the years. Aside from typical white wedding shoes, there are now all sorts of shoes which a bride can choose from. 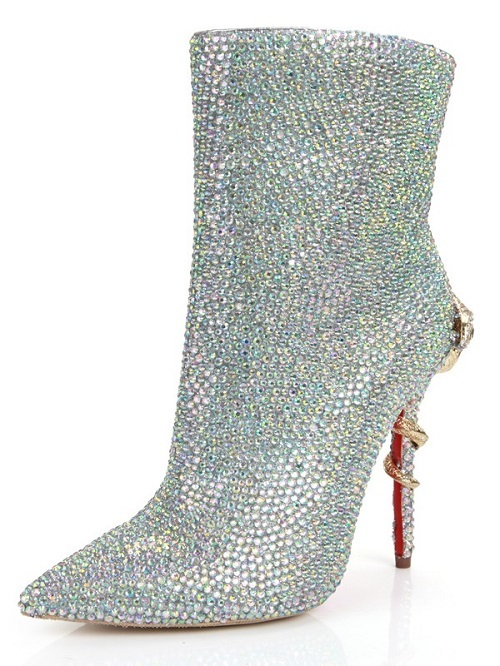 If you are a certified glamorous diva, a pair of sparkly pair of shoes with rhinestones would be awesome. For our sweet and romantic ladies, a pair of shoes with pearls or lace would absolutely match you. And for our rock star brides, a pair of boots will definitely be a perfect choice. With all that said, it is still practical to buy affordable shoes that will provide you quality and comfort. Of course, there are numerous online shops online, like Dylan Queen, which offers all these. For more details, please visit: http://www.dylanqueen.com/shoes/.